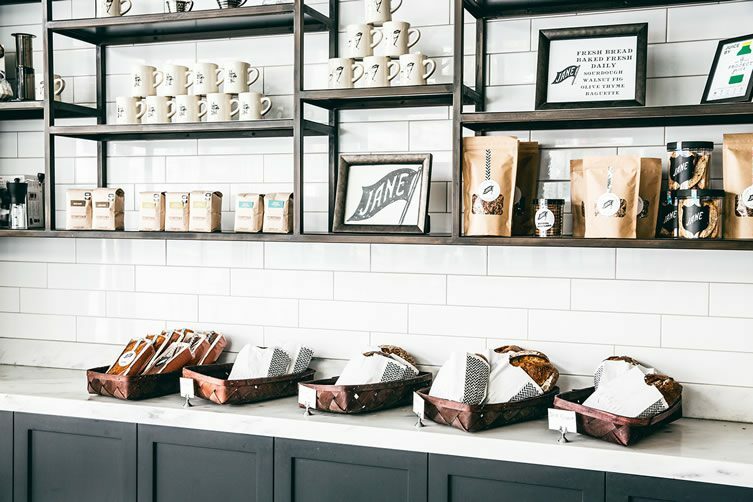 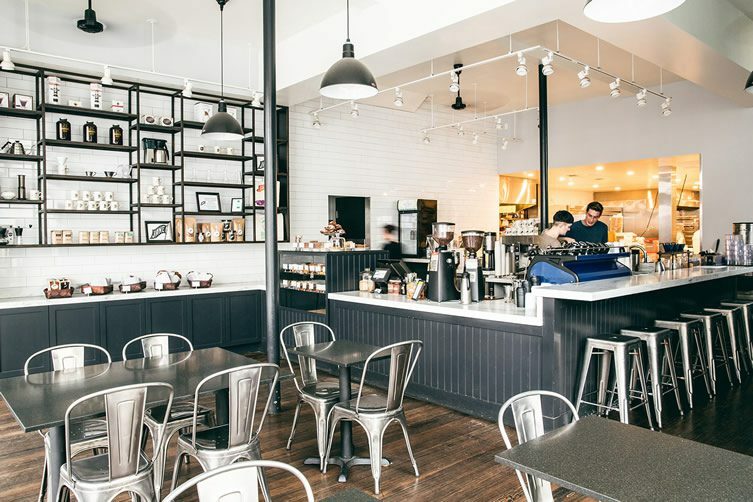 Jane café’s winning mix of delicious food and drink, coupled with a sharp eye for design, has endeared the coffee shop to the denizens of posh San Francisco neighbourhood Pacific Heights, and now it’s the Tenderloin arts district’s turn to enjoy all the coffee shop has to offer. 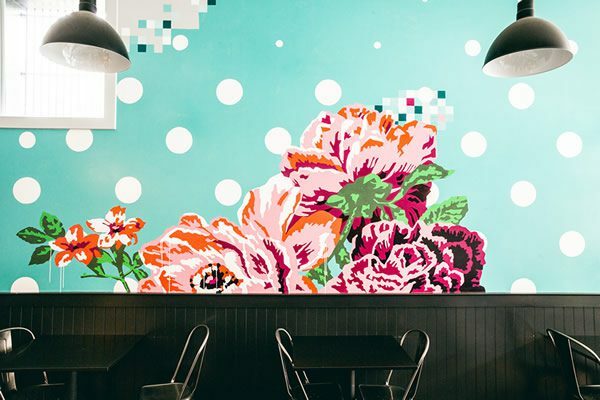 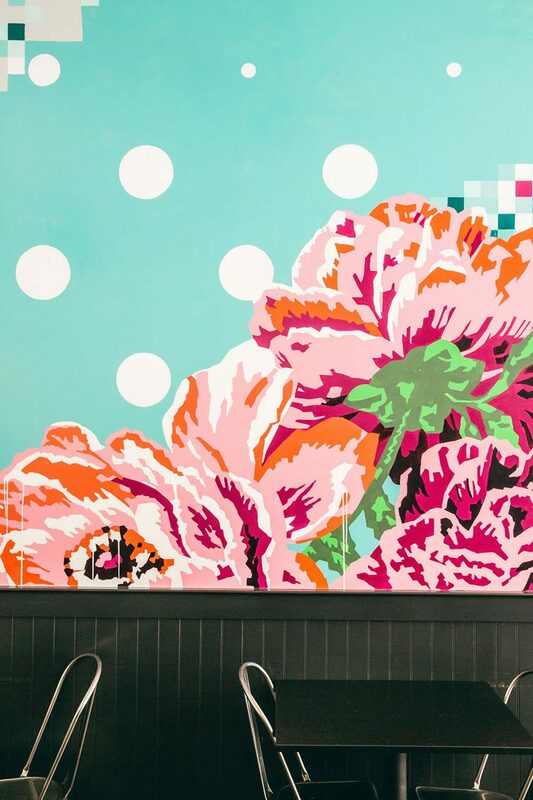 This second outpost stays true to the Fillmore Street original’s understated vibe with the exception of a highly stimulating wall mural from local artist Helen Bayly, whose digitally pixelated petals embodies the colourful and creative spirit of the neighbourhood. 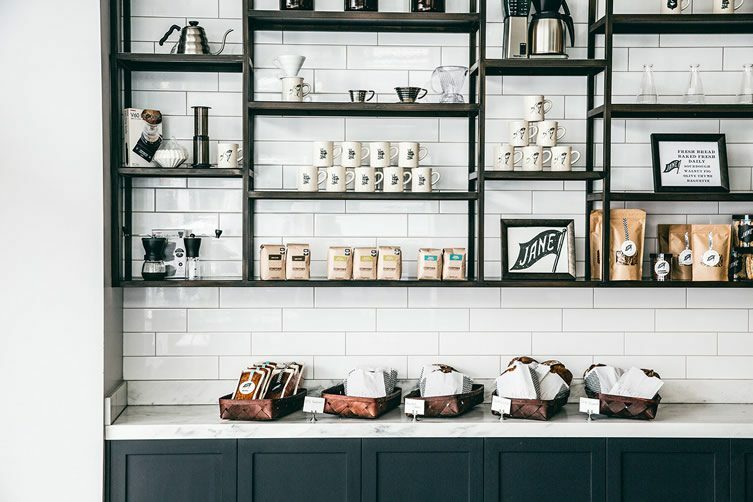 Bayly’s vibrant wall is in stark contrast to the restrained look of the rest of the front of house space which is pitched as “1970s London coffee house chic”. 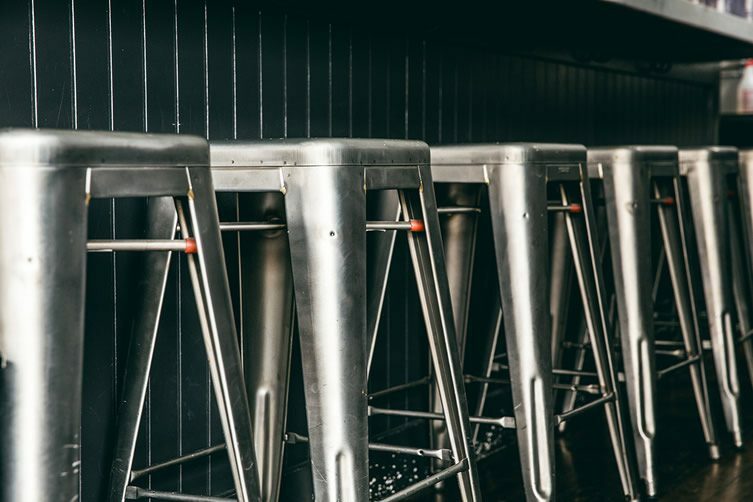 This puts me in mind of a greasy spoon straight out of The Sweeney, so we’ll leave that description where it belongs and enjoy Jane’s for the classy spot that it undoubtedly is. 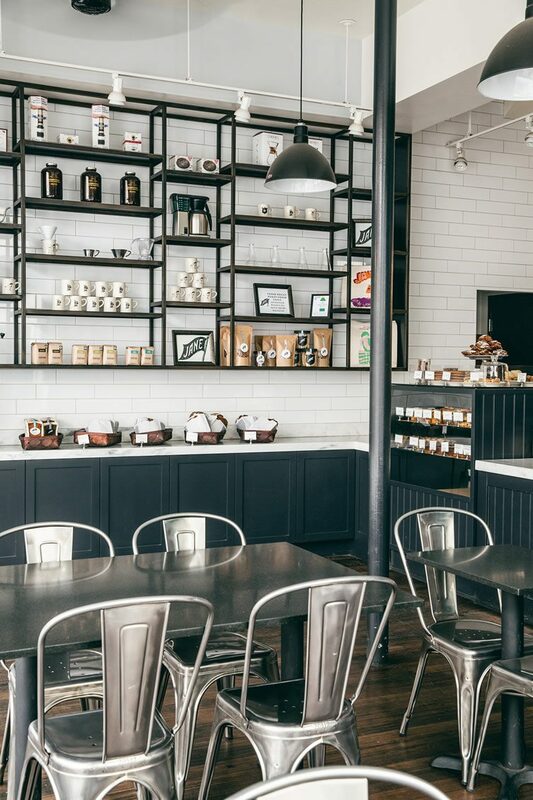 That perennial café favourite, the Tolix type A chair, does what it’s been doing since the 1930s — namely looking damn cool — and the highly polished silver numbers here look great in combination with the French maker’s silvery stools and shiny tables, set against the dark matte of the wood panelling.